Social housing often ends up in poorly designed buildings, but that’s not the case for the environmentally sustainable Trinity Apartments in Australia’s West Footscray. Designed by k20 Architecture, the 24-unit apartment building offers low-cost housing with a design quality often reserved for the private sector. 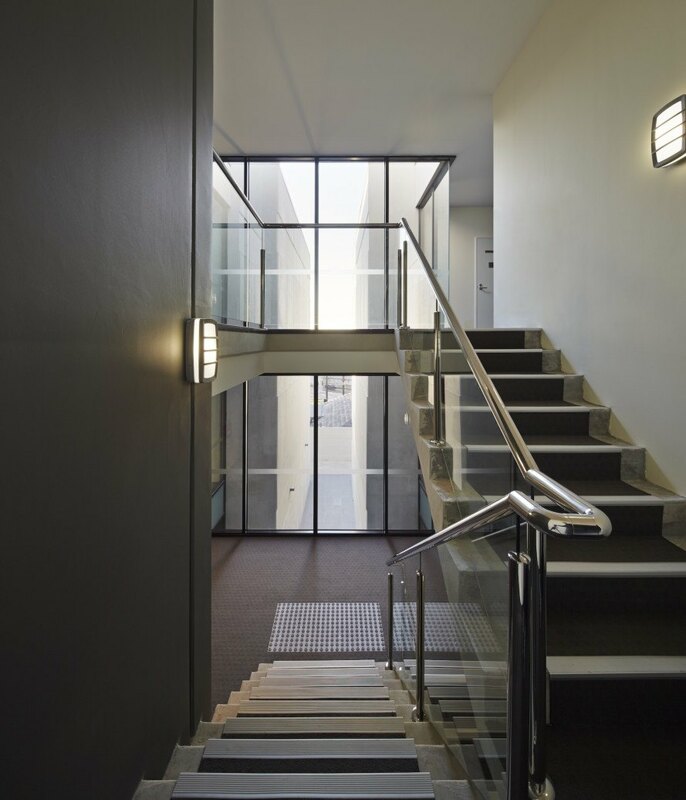 Funded by public-private partnerships, Trinity Apartments boasts an impressive 9.1 sustainability star rating on the Nationwide House Energy Rating Scheme (NatHERS), a 10-star system that rates the energy efficiency of residential developments. The Trinity Apartments set itself apart not only for its design and environmentally friendly features, but also for its genesis. The Directors of k20 Architecture selected and purchased the land and even raised the funds necessary to execute the project. The country’s National Rental Assistance Scheme (NRAS), a policy that uses private investment tax offsets to drive the development of low-cost housing, helped create the project foundation. The design concept for the Trinity Apartments draws from the notion of trinity, a concept born from religion that suggests balance and unity in the state of being three. 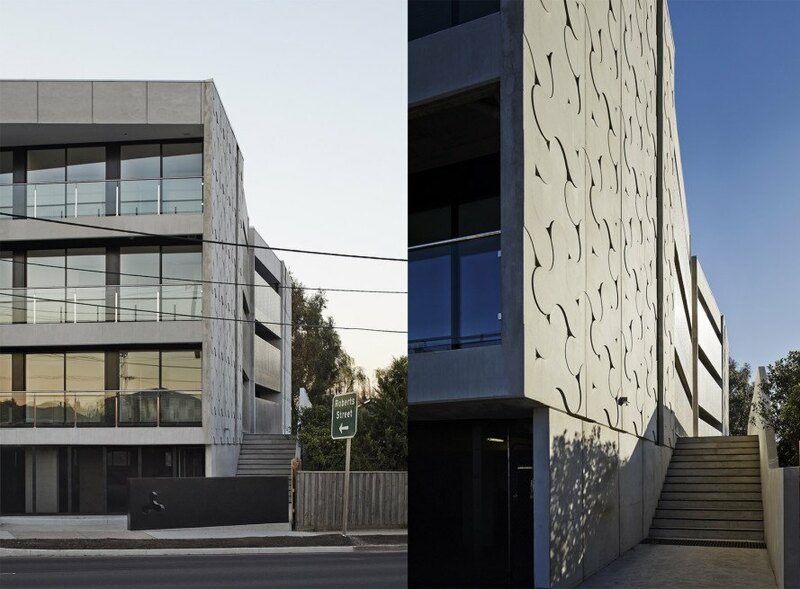 Inspired by its location at the junction of three major crossroads in West Footscray, the trinity concept manifests itself in the building’s layout and facade, which feature Y-shaped patterns in the custom-designed precast concrete walls on the east and west. The shape appears again in the form of large roof cutouts in the north and south elevations. The interior is filled with natural light thanks to ample double-glazing and a three-story atrium at the entry. A larger-than-average foyer offers panoramic views of the city and helps foster social interaction among occupants. 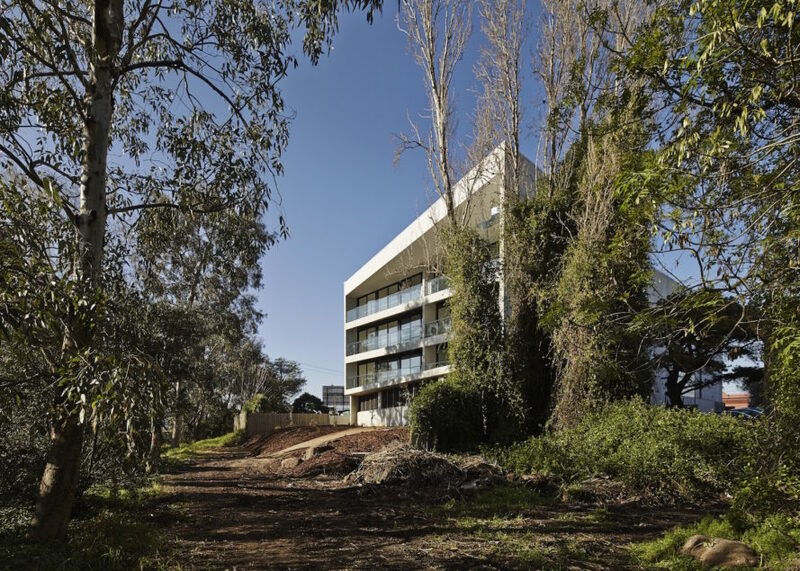 A rear social garden connects residents to nature, Stoney Creek, and the broader community. Passive solar design principles, high levels of insulation, eco-sensitive finishes, energy-efficient fittings, as well as motion and light sensors minimize energy use. The Trinity Apartments set itself apart not only for its design and environmentally friendly features, but also for its genesis. he Directors of k20 Architecture selected and purchased the land and even raised the funds necessary to execute the project. The design concept for the Trinity Apartments draws from the notion of trinity, a concept born from religion that suggests balance and unity in the state of being three. Inspired by its location at the junction of three major crossroads in West Footscray, the trinity concept manifests itself in the building’s layout and facade, which feature Y-shaped patterns in the custom-designed precast concrete walls on the east and west. The shape appears again in the form of large roof cutouts in the north and south elevations. The interior is filled with natural light thanks to ample double-glazing and a three-story atrium at the entry. A larger-than-average foyer offers panoramic views of the city and helps foster social interaction among occupants. Passive solar design principles, high levels of insulation, eco-sensitive finishes, energy-efficient fittings, as well as motion and light sensors minimize energy use.